Q: Typically, do non-recourse loans attract a higher interest rate? If so, how many points higher? A: It varies from lender to lender. Typically it's 1-3 points higher. The loan-to-value (LTV) is also different. Q: Can we "park" our IRA funds in another investment vehicle until we make a purchase of another asset? A: You can park your funds in another investment vehicle until you make the purchase of another asset. Q: In a hot market, I may have to move quickly, can I put my investment under contract and then assign it to my IRA? A: Since the IRA is technically the buyer of a property, the contract purchaser should be the IRA. In some cases where the purchase was made incorrectly, a revision of the contract may be necessary. Q: If you hold the property until the non-recourse loan is paid and then sell the property, is there Unrelated Debt Financing Tax (UDFI)? A: Once the loan is paid in full and the IRA has full ownership of the property purchased by the non-recourse loan, there will no longer be UDFI if the asset is sold. However, there will be taxation once the property is distributed from the IRA, unless the IRA is a Roth IRA. Q: If you purchase a property using an IRA, is there any penalty for taking the equity out to use towards a new investment property? A: You can buy and sell property/assets within an IRA and there are no taxes or penalties as long as it sits under the umbrella of the IRA. Penalties may be associated with the investment but no taxes or penalties from a federal tax standpoint are placed. 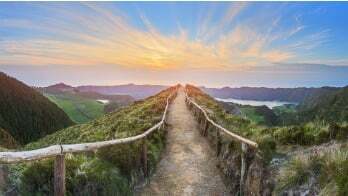 As an example, it works the same as your 401(k) plan, where you can buy and sell mutual funds without having to pay taxes on the gains nor deduct losses. Q: Can a real estate management company I own manage expenses for my investment property? A: You must avoid any transactions with your IRA that self-benefit you personally while the assets are in your IRA. Self-benefiting transactions are called prohibited transactions and can jeopardize the tax-deferred status of your IRA. Q: Does it make sense to convert a Traditional IRA to a Roth IRA prior to purchasing property? If so, do the tax implications change (UBTI/UDFI)? A: Check with your tax advisor to determine whether converting from a Traditional to a Roth will be advantageous for you since conversions involve taxation of the asset up front. Benefits of the Roth include earnings from assets owned by the Roth that will be tax-free after 5 years and until you’ve reached one of the three situations (i.e., death, disability or attained the age of 59 1/2). As far as UBTI/UDFI, it has the same treatment in a Roth for the percentage of the asset under the non-recourse loan. 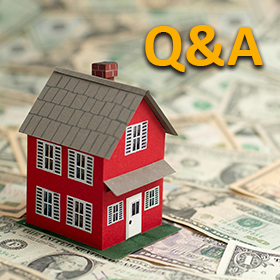 Q: What happens if you lose a renter and you have to pay the mortgage, do you pay from the IRA? Also, can you use that as a loss? A: Since the IRA is the purchaser of the property, payments for the mortgage must come from the IRA. You personally cannot use that as a loss in your own tax return. Q: Can I sell a property and roll over the proceeds into a self-directed IRA to avoid or defer my capital gains? A: Property outside of an IRA cannot be moved (i.e., rolled over or transferred) into a retirement plan. To avail of the benefits of a retirement plan the assets/property must be in the retirement plan already. There are contribution limits when it comes to adding assets to your retirement plan. We thank everyone for their great questions, and we encourage our readers to post any additional questions regarding non-recourse loans, or Real Estate IRAs in the comments section below so other readers may benefit from the answers. Please visit our online Learning Center for additional resources about retirement investments.